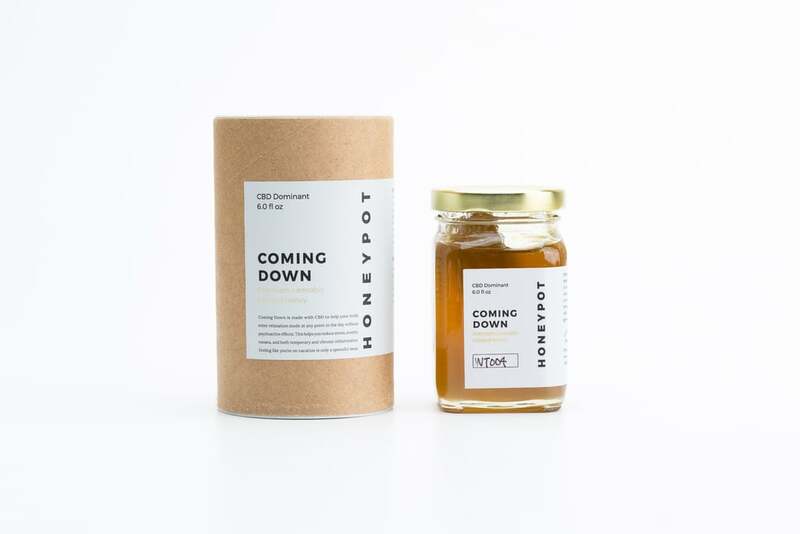 HoneyPot's 'Coming Down' CBD Premium Infused Honey is not only delicious, but it's made from raw, USDA organic, Grade A wildflower honey. 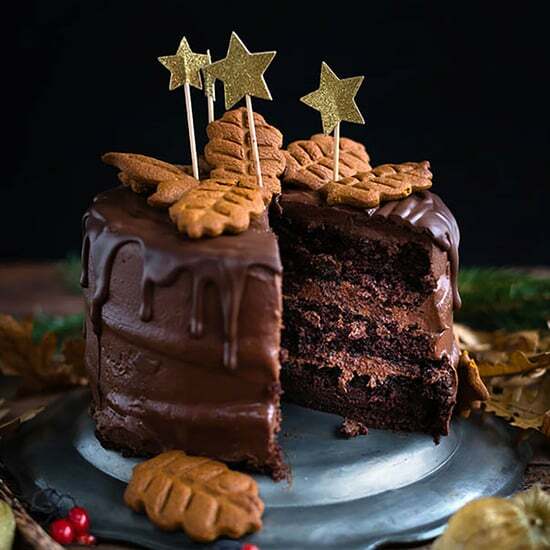 This nonpsychoactive gourmet item is handcrafted in Northern California and carefully infused with cannabidiol that is extracted using clean, solventless Co2 to ensure purity. 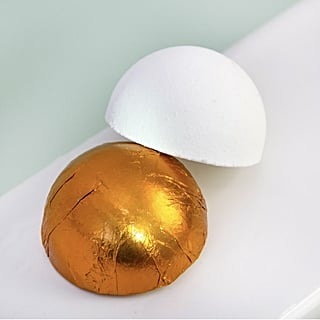 With bright citrus and orange blossom notes, HoneyPot will help you de-stress and relax after a long day. Try adding this honey to a bowl of fresh fruit, putting it on top of a yogurt parfait, or drizzling on your favorite soft cheeses. 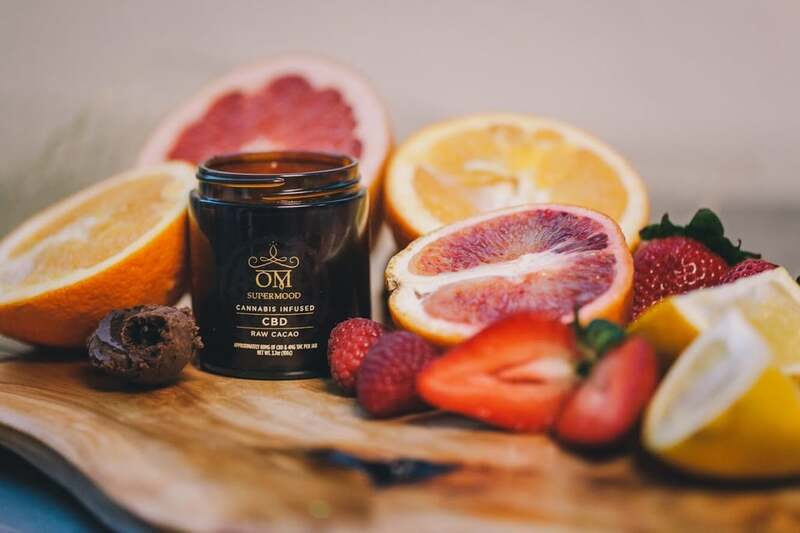 If you love chocolate-flavored products, Om Edibles Raw CBD Cacao is a must try. Made with organic ingredients, this nutrient-dense edible provides many therapeutic benefits that can help elevate your mood, relax the body, and provide clarity after a long day. Raw cacao is also one of the highest plant-based sources of iron, it's packed with magnesium to support the heart and brain, and it provides high levels of calcium to support healthy bone growth. You can eat this delicious product straight from the spoon, add to warm milk, or enjoy with a bowl of fresh fruit. This product contains 80 milligrams of CBD per 4oz. jar. If you live in California, you can find OM Edibles on Eaze. One of the easiest ways to add CBD to your cooking is to use a CBD oil. 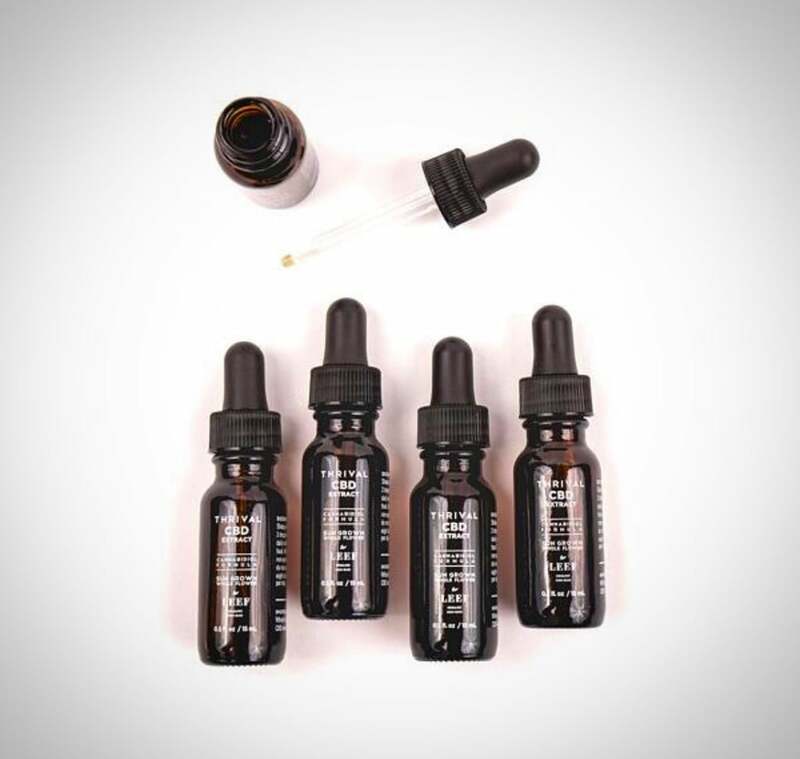 LEEF Organics Thrival CBD Extract is one of our favorites because they use a whole plant cold-pressed fermentation process, which produces the purest form of CBD extract. LEEF CBD is an excellent source of nutrients and helps maintain balance in the body. Try adding LEEF Thrival to raw pesto or put a few drops into a green smoothie. This product contains 375 milligrams of pure CBD. 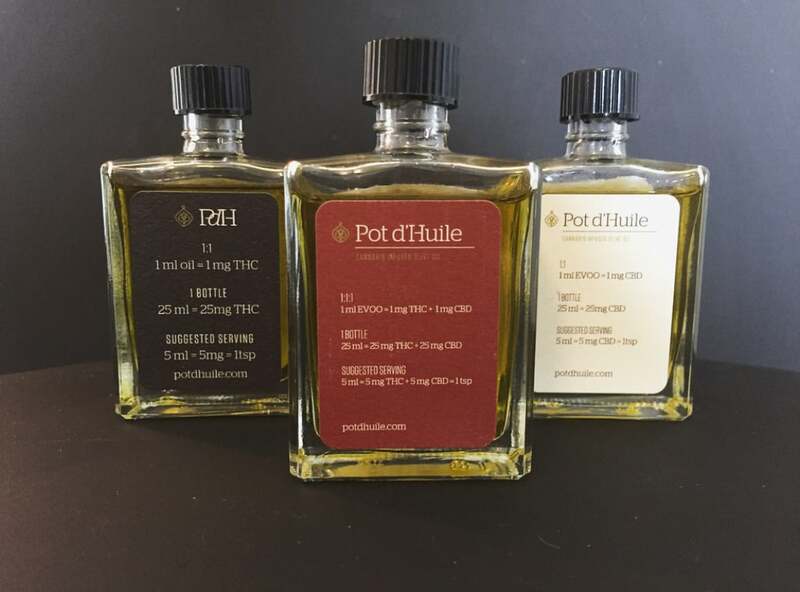 Their line of premium CBD products can be purchased online. One of our favorite products to cook with is The CBDistillery's 99+% Pure CBD Isolate. This easy-to-use flavorless powder is non-GMO, pesticide-free, and Co2 extracted from industrial hemp oil. The best way to use isolate powder is to use it as an ingredient. We love incorporating it into different smoothies, sauces, coffee, tea, pudding, and more. After consuming, this product helps with anxiety and stress. It is also easy to find online as The CBDistillery ships to all 50 states! If you have not tasted ghee before, add this to your shopping list! Ghee is a traditional food and a staple of Ayurvedic medicine. It is also considered to be pure butter oil because all milk solids are removed. Goddess Ghee produces a handcrafted product that is made from cultured butter from happy hormone-free grass-fed cows. 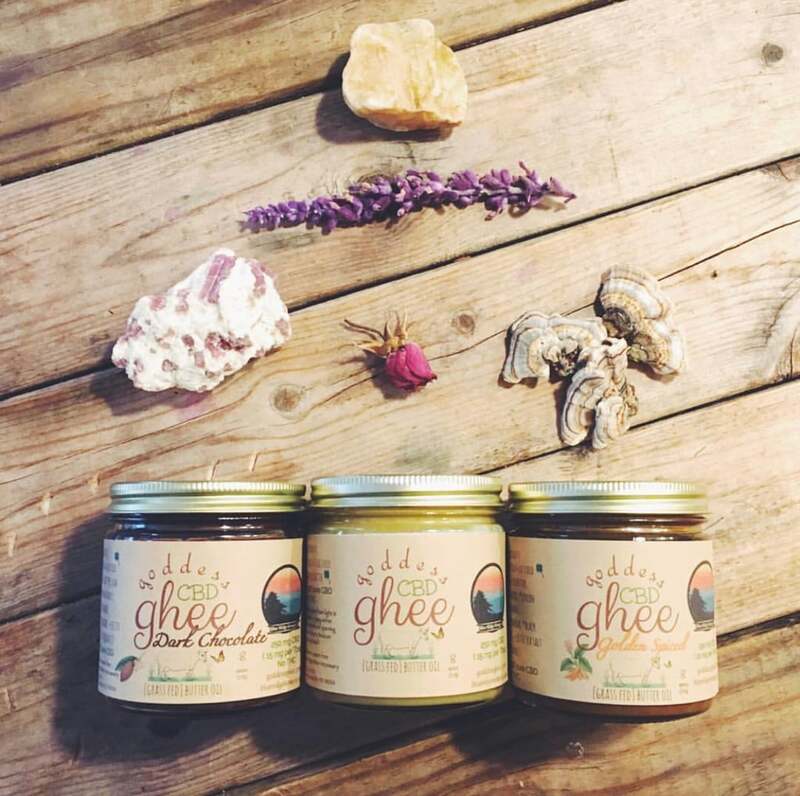 Carefully infused with CBD, Goddess Ghee is an excellent source of vitamins A, D, E, and K. Find their CBD products online, available in three different flavors. Made with real orange oil, Treat Yourself Full-Spectrum Hemp CBD is a great product to have on hand, especially if you like pressed juices. Made from a blend of grape seed and hemp oil, this uplifting CBD product delivers energizing effects while healing the mind and body. The refreshing flavor blends well with fresh fruit juices, so be sure to add a full dropper to receive maximum therapeutic benefits. One serving of the Full Spectrum Hemp Oil equals 20 milligrams of CBD. The bottle contains 500mg of CBD total. With no THC present, this product can be purchased online. 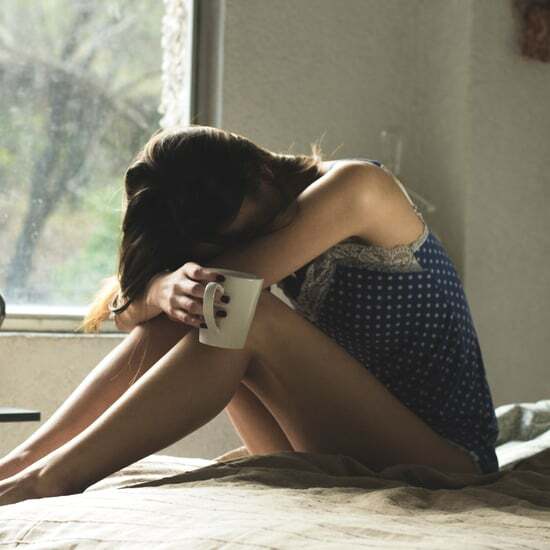 CBD is a powerful medicine that helps with pain relief, inflammation, and muscle relaxation. We love Kikoko Sympa-Tea because it provides a wide-range of health benefits and tastes delicious. Kikoko's premium CBD is sourced from a whole-plant extract grown in Mendocino, California. By using CBD from cannabis instead of hemp, this product is a rich source of powerful cannabinoids that deliver full-body healing. 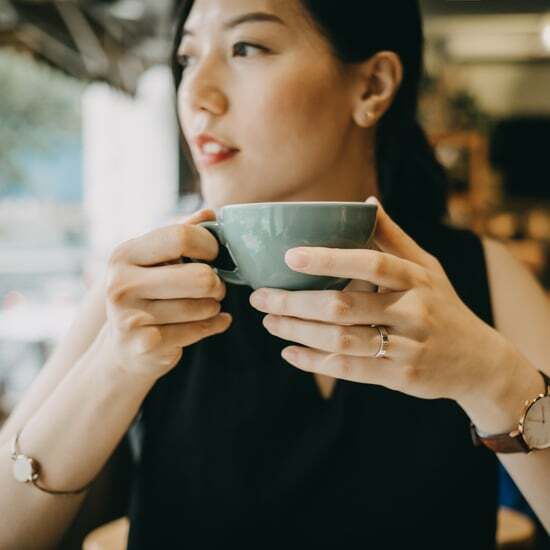 In addition to CBD, Sympa-Tea is made with ingredients such as turmeric, ginger, and licorice root. This infused tea is great on its own or combine it with your favorite mocktail ingredients. We would recommend combining it with this recipe. 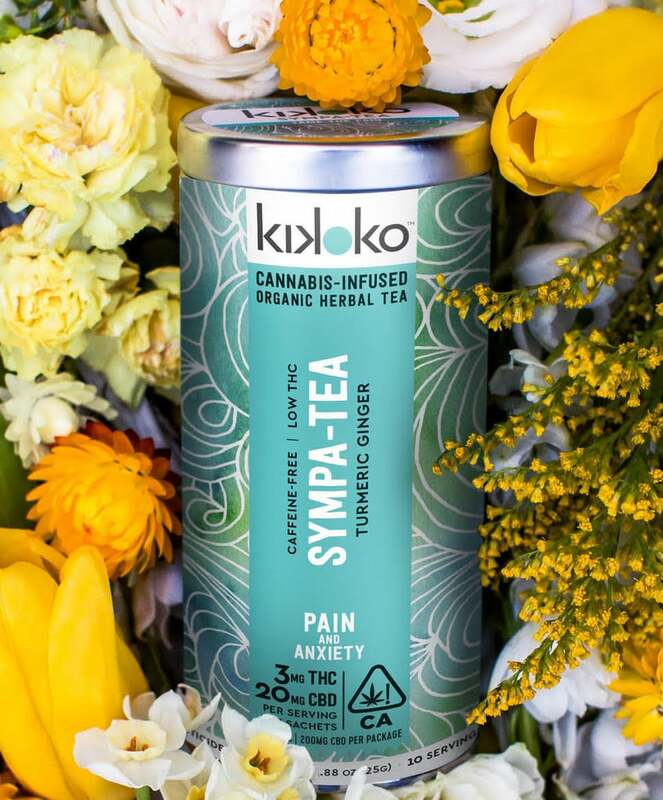 Kikoko's Sympa-Tea contains 20 milligrams of CBD and 3 milligrams of THC. What's the fun in cooking without adding some amazing spices to your meal! 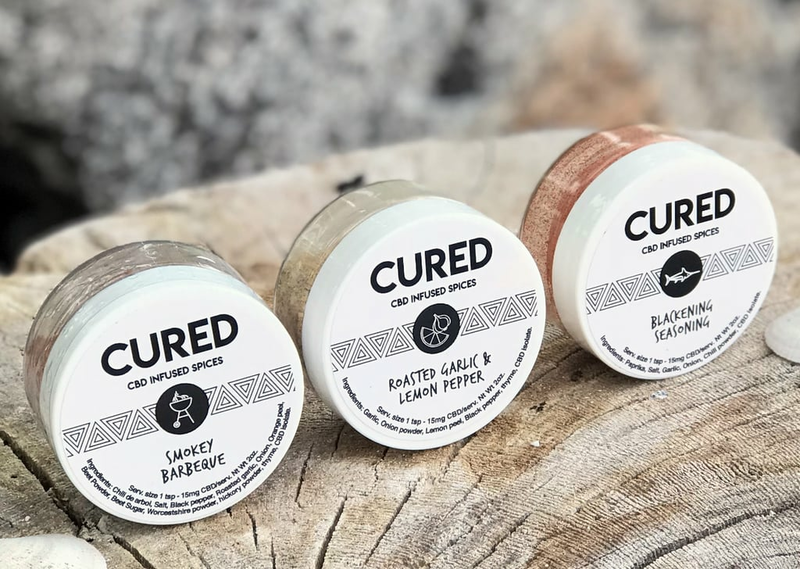 Based out of Boulder, Colorado, Cured Nutrition has developed CBD spices that you can use in different recipes. Available in six flavors, you can add their Roasted Garlic Lemon Pepper, Peanut Butter Chocolate, Blackening, Smokey BBQ, Pumpkin Spice, or Cinnamon Honey spice to your favorite foods. Their spices can be used just like regular spices in the cabinet, but the difference is Cured Nutrition spices help reduce stress, aid with sleep, and provide all of the amazing benefits that CBD offers. Made with hemp-derived CBD isolate powder, these spices can be purchased online and shipped nation wide. This is one delicious gourmet CBD treat that you can enjoy on its own or with a glass of bubbles. Based in Cambria, California, Baceae Cannabis Confections produces artisan chocolates, granola bars, and hemp bars made from locally sourced organic ingredients. As part of their Renew edibles line, Baceae's Strawberry CBD Bons Bons are out-of-this-world delicious. Made with creamy dark chocolate and infused with dried strawberries and hemp-derived CBD, this scrumptious sweet treat delivers therapeutic benefits without getting you high. Each piece contains 10 milligrams of cannabidiol (CBD). 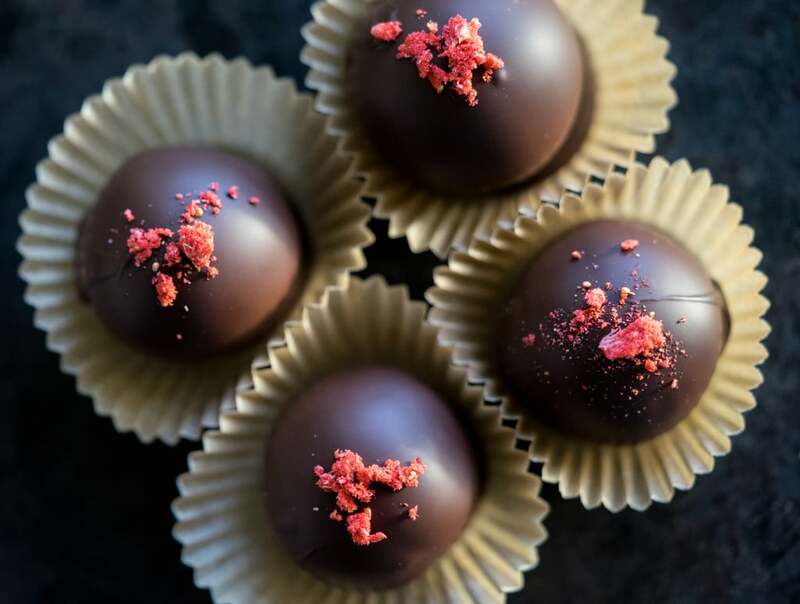 Baceae can ship their products in California, so look for their delicious confections online.